Well, it’s been almost a month and all I’ve succeeded in doing is giving myself five husbands. (The site kept freezing and saying it didn’t save, but it did save.) Can’t delete four of them; can’t start over with a new application in the same state. Can’t even access the live chat for help! In good news, back pay was deposited today. 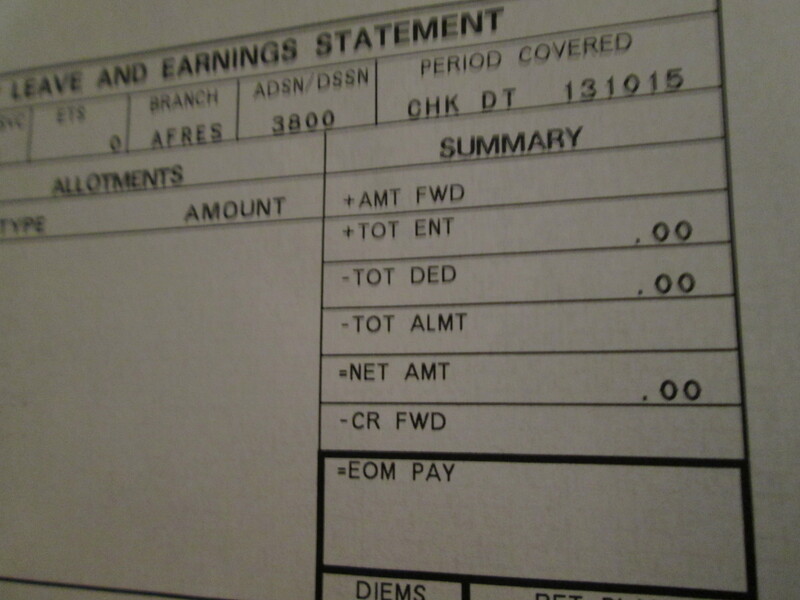 Apparently whatever department mails out the actual pay stubs is still operating however. Hopefully the vote goes through tonight, but I’m still not sure if there will be back pay, or when. …or how the government made me lie to my mom. She was worried that The Husband wouldn’t get paid because of the shutdown, but I assured her that they would keep paying his salary because he’s in the military. Unlike last time the government stopped functioning, all HPSP benefits are suspended. HPSP is not covered by the military pay stop-gap bill this time. So there will be no pay and reimbursements are on hold for the foreseeable future. Reimbursements should go through once the shutdown is over, but it’s unclear if there will be back pay. As an officer, The Husband is not allowed to disparage Congress. (This is very useful for getting out of awkward conversations at large family gatherings.) However, there is no oath of office stopping me! Congress, consider yourself officially disparaged. The Navy and Air Force were both five weeks long, students stayed in dorms, and students were restricted to campus for all but the last weekend. They had PT (physical training) every morning and classroom lectures every afternoon, among other training. Navy was more difficult* because they had to stand watch overnight and didn’t have access to the internet. What I imagine their graduation parade and review may have looked like. The Army just restructured their training course. The new version was four weeks, had every weekend off (with the warning, “don’t get arrested”), and stayed in a hotel. There was no PT (none!) and they went to Sea World. Two of their weeks were the field exercises, aka the fun ropes courses. And they got to shoot guns. Totally ridiculous. Even the Army people said so. * Navy also missed the first week of M2 classes which made it more difficult, but that is not inherent to the ODS course. In short, not the greatest postal system they have going on down there. 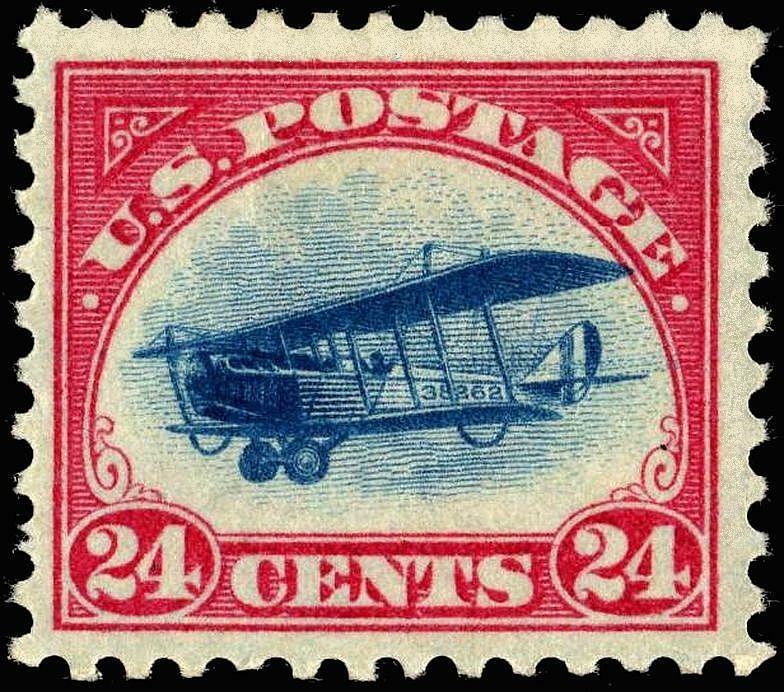 The Husband didn’t receive any of my letters for the first week and a half because the mail officer for his flight (group of 16) refused to go to the base post office. Even with her picking up the mail regularly, the letter I sent June 3 was only received by him during the last week of training (end of June). Some letters and cards we know friends sent were never received. We have no idea if things will be forwarded to him now that he’s home. Additionally, some letters that The Husband sent to me still haven’t arrived. Not sure if it’s a Maxwell AFB issue or a USPS issue. I’m leaning towards Maxwell because despite what our tenants seem to think, I’ve found mailing things to/from anywhere else to be pretty reliable. New DoctorSpouses post is up. In honor of National Nurses Week, I wanted to write about the people my husband will spend most of his time with in three more years: military nurses. The military path for nurses is very similar to the path for doctors. The Health Professions Scholarship Program (HPSP) is available for current and soon-to-be nursing students, just as it is for medical students. The HPSP pays for school, mandatory supplies, and a monthly stipend during school. The HPSP program only covers graduate-level schooling though, so those in BSN programs aren’t eligible. Around the time we got married, The Husband and I had a roommate, M. For reasons unknowable (or at least un-understandable) by me, the two of them had a thing for camouflage. Well, as much into camouflage as two guys can be without going hunting, joining the military, or even owning any camouflage at all for that matter (until Christmas that year with the gift of a camouflage wallet). They just really liked talking about and pointing out camouflage. Why the camouflage obsession? According to The Husband and M, it was because “chicks dig camo.” Nevermind that The Husband had a fiancée/wife and M had a girlfriend, neither of whom “dug” camouflage. It was just their inside joke that generic “chicks” apparently love camouflage. There’s a whole article about it and the exploding number of camouflage patterns (and government redundancy/waste) at the Washington Post. The Army has its own “universal” camouflage pattern, which is designed to work anywhere. It also has another one just for Afghanistan, where the first one doesn’t work. This is the one that is apparently still better than the AF version. Pattern No. 7 came from the Air Force. On the surface, that did not make a whole lot of sense: Only a subset of Air Force personnel fight on the ground. This is apparently why they went with the CDI Factor instead of the usefulness factor. And why not? Everyone else got a new camo pattern! The Navy spent more than $435,000 on three new designs. One was a blue-and-gray pattern, to be worn aboard ships. Pattern No. 8. Sailors worried that it would hide them at the one time they would want to be found. Anyways, the article is worth a read. It just confirms the idea that the military is just boys with toys. We went to the Commissary again this weekend, and also checked out the Exchange, which is like the military’s version of a department store. Their book section was about the size of Target’s, but with a lot more Jesus. New DoctorSpouses post is up! Once we decided to go the military route, we had to figure out which branch we wanted to join. There are three branches that offer the HPSP Scholarship: Air Force, Army, and Navy. The basics of the scholarship program are virtually the same, but the day-to-day life can vary widely among the branches. The Navy was turned down by P immediately. He was not interested in being on a submarine for six months at a time, despite my desire to see him in dress whites a là A Few Good Men. (We later learned doctors are not stationed on submarines, but P. had no interest in being confined to any ship for any length of time.) P says if he were younger and single, he might consider the Navy. A new DoctorSpouses post is up. We had put in a lot of thought into joining the military, and while we knew it wouldn’t be easy, I’m not sure anyone could really know what it will be like until they’re in the middle of it. Kind of like Med School in that way. This week, one of my friends posted “35 Things Military Spouses NEVER Say” on Facebook. While I know things are different for officer spouses, and very different for doctor spouses, reading through the list some worries and doubts, old and new, serious and not-so-serious, crept up on me.